For Grey, 2014 was all about brilliant work. Not only did the agency win the respect of its peers but, crucially, the work created a positive business benefit for its clients. Activity for News UK was of particular note. The Sunday Times Rich List campaign, which showed famous people including Simon Cowell and Richard Branson as fat cats, won widespread plaudits. Grey also produced a clever "icons" film for the newspaper’s Culture section, an online film series that told stories of journalists from The Times and The Sunday Times, and a film of a long "keepy-uppy" game for The Sun’s World Cup coverage. What was notable about Grey’s work was its breadth and its ability to generate news coverage, not just from TV ad campaigns. 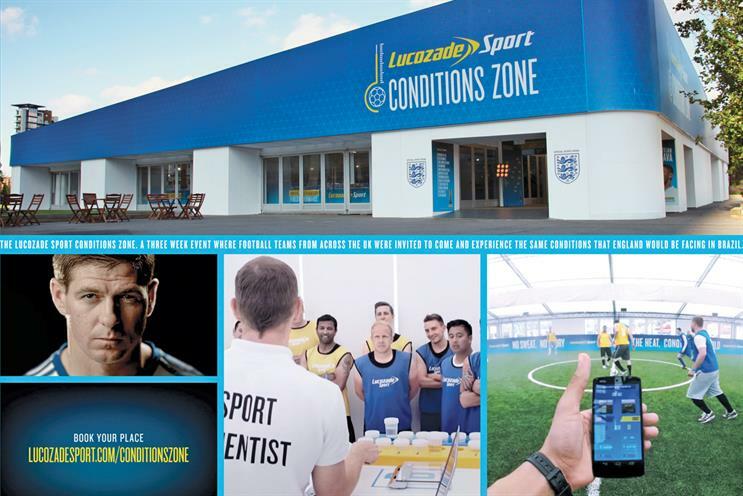 For example, during the World Cup, the agency recreated the humidity and heat of the Brazilian rainforest in a special building for Lucozade and invited amateur footballers to play in the conditions. It was only right that Nils Leonard was promoted to become Grey’s chairman. Grey featured heavily at the awards ceremonies, not just for its creative work – becoming the most-awarded UK agency at D&AD – but for the commercial impact of its campaigns, winning IPA Effectiveness Agency of the Year. It was also named Direct Agency of the Year at the Campaign Big Awards. Blips on an otherwise stellar year were the loss of the Allianz UK account and the end of a fruitful six-year relationship with the British Heart Foundation, but the agency racked up some modest wins with Kuoni Travel, Orangina and Watches of Switzerland. It was also added to the Vodafone UK roster and, by February 2015, it had taken over the entire £53 million UK account. With the chief executive, Chris Hirst, now preparing to leave for Havas, Leonard and the newly promoted Lucy Jameson need to prove they can keep up the terrific momentum. How the agency rates itself: Campaign’s Network of the Year (and Agency of the Year runner-up). IPA Effectiveness Agency of the Year. Most-awarded UK agency at D&AD. Direct Agency of the Year at the Campaign Big Awards. Some great account wins including Kuoni Travel , Orangina and Vodafone UK. Nils Leonard promoted to chairman in probably our most creative year ever, with standout campaigns for Lucozade, McVitie’s, News UK and Volvo, to name but a few. Oh, and Beard Baubles.